On Tuesday, Oct. 20, Jay Z's music streaming service, Tidal, brought a ton of the music world's major players (Beyoncé, Nicki Minaj, Lil Wayne, Usher, the list goes on and on) to Brooklyn's Barclays Center with the Tidal X: 1020 Amplified By HTC Benefit Concert (proceeds went to the New World Foundation). The concert also brought out a ton of up-and-coming musicians who were included in the show as Tidal Rising Artists. 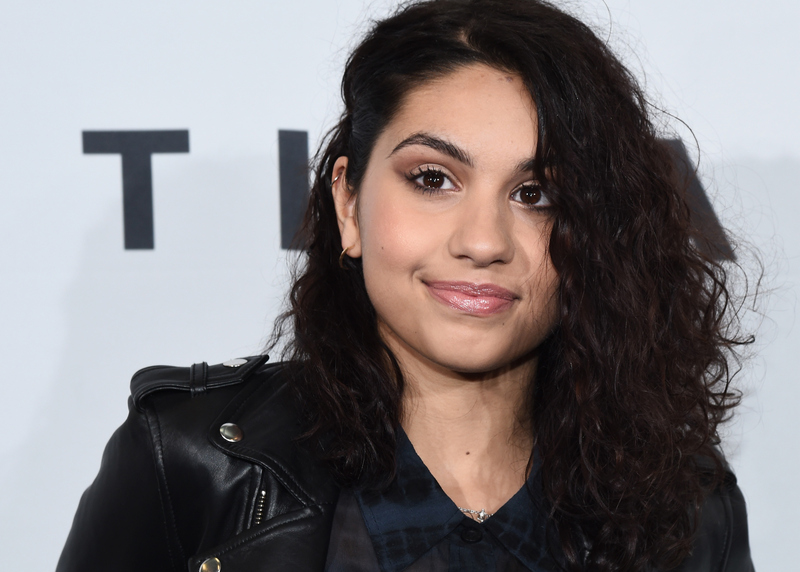 One in particular who got the crowd excited (which is quite a feat considering the promise of Beyoncé at the end of the tunnel) was Alessia Cara, who is best known for her current single "Here." The 19-year-old spoke with Bustle on the event's black carpet before the show about her upcoming album, Know-It-All, and her biggest influences. "Concept wise, it's very much like my EP in the sense that it's about my view on life and the world as a teen girl and just, kind of, what's going on in my head," she says of the album, which is due to be released this fall. "But I think everyone can relate to it, young and old." The EP she's referring to is Four Pink Walls, released in August 2015, which features five songs including "Here," the song that brought her into the spotlight. In July, Cara performed "Here" on The Tonight Show with Jimmy Fallon bringing her nationwide attention. As of Oct. 21, the song is #23 on the Billboard Hot 100. As for her upcoming album's sound, Cara says, "Sonically, it's very versatile, but at the same time in the same vein [as the EP]. There's, like, different influences. Some old school stuff, some alternative pop stuff — definitely pop. I think overall it's an alternative pop album." "I'm influenced by so many artists," she says. "Especially songwriters like Frank Ocean, Drake, Ed Sheeran, Amy Winehouse." The young singer also mentions her dream collaborators, and it's not exactly a surprise that the same people make the list. "I would say Drake and Ed Sheeran — all my influences. Frank Ocean. Lorde would be crazy." Like most of the Tidal Rising Artists — and, really, most of the bigger stars considering the way the event was set up — Cara only got to sing one song during Tidal X: 1020. But after hearing her perform "Here", I was left wanting more of her powerful, soulful voice. And I'm sure I'm not the only new fan she made.